P-locking, C14-to-C13, C14-to-C15, C20-to-C19, 5-15P-to-C13, C14-to-C19, and C20-to-C13 power cables plus locking sleeves and adapters available. C14 (Male) to C13 (Female) Data Center Grade power cord is the most common used jumper cord between computers and peripherals to a PDU in a data center rack or cabinet. 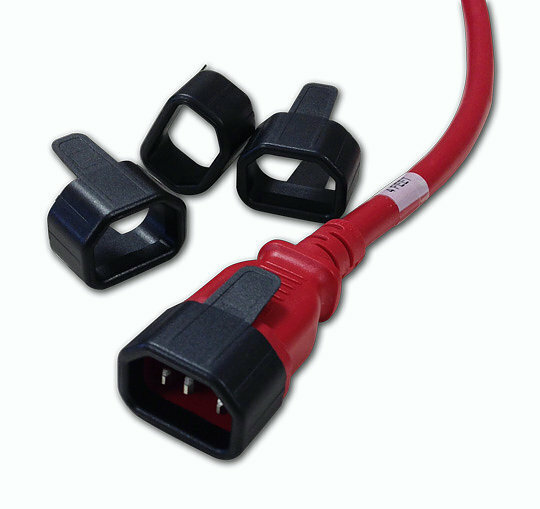 This UL Listed cable is rated for 10 amps at 250V using 18AWG/3 wire cord in a very pliable SVT jacket. Cords are shipped coiled and ready for installation, No kinked cords. C14 (Male) to C15 (Female) 15 Amp 250V Power cord with 14 gauge/3 wire cord in a SJT jacket. 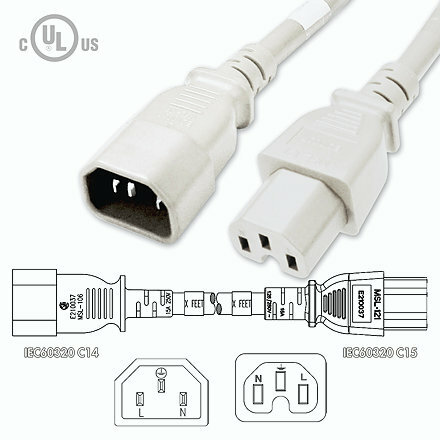 The C15 female connector has the same pin array as a C13 but has a notch at the base. 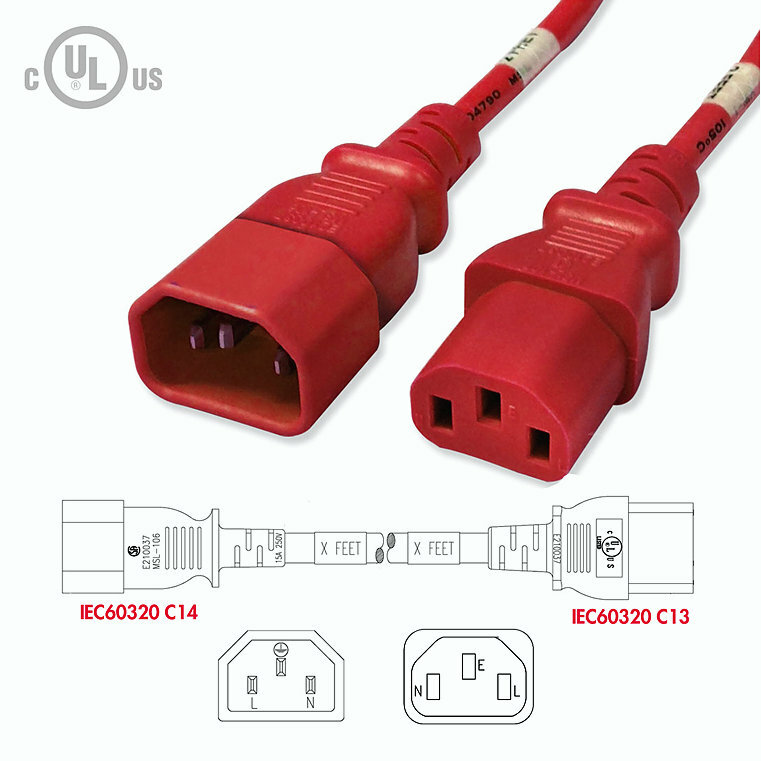 The C15 can be plugged into a C14 or C16 outlet but the C13 is limited to only the C14 outlet. 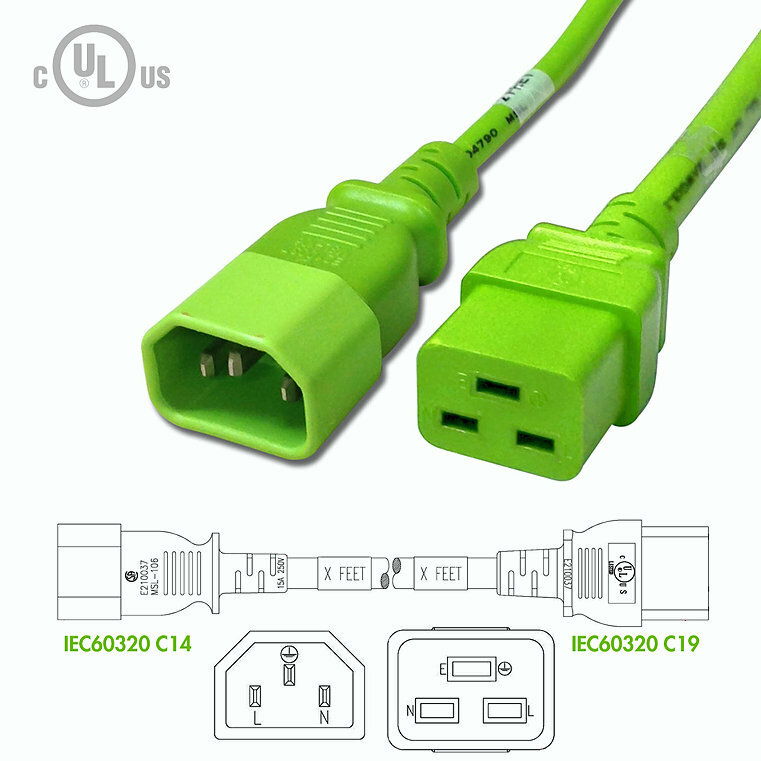 The power cord is commonly used between Cisco Servers, computes and networking devices to PDUs in a data center rack or cabinet. Cords are shipped coiled and ready for installation. 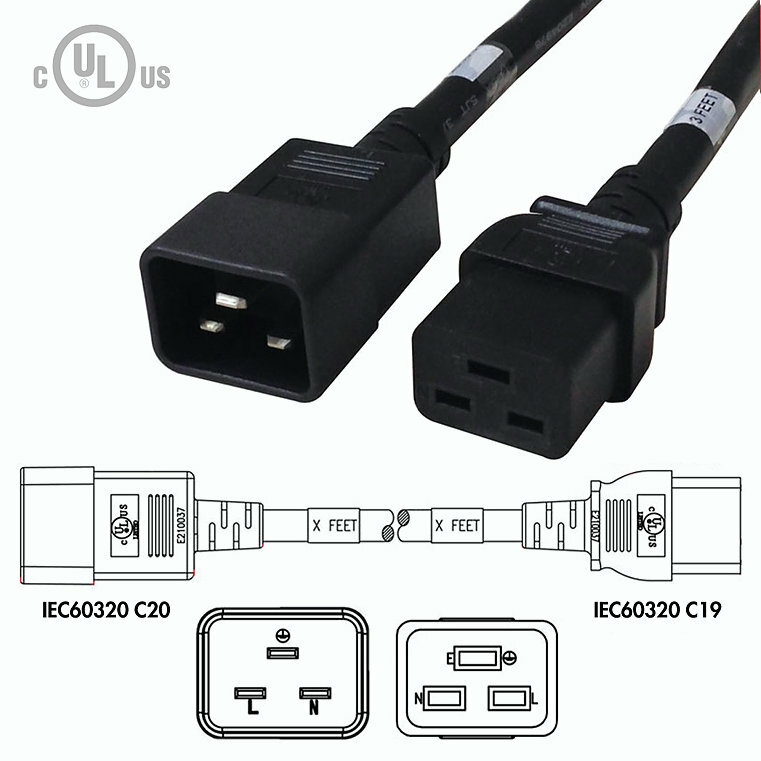 C20 (Male) to C19 (Female) UL Listed Data Center grade Power cord with 12 gauge SJT jacket for use with High-End PDU’s and Servers in a data center cabinet or rack. Both the receptacles and cord is rated for 20 amps at 250Volts. C14 (Male) to C19 (Female) UL Listed Data Center Grade 15 Amp, 250V, 14 gauge/3 wire power cord in a SJT jacket. 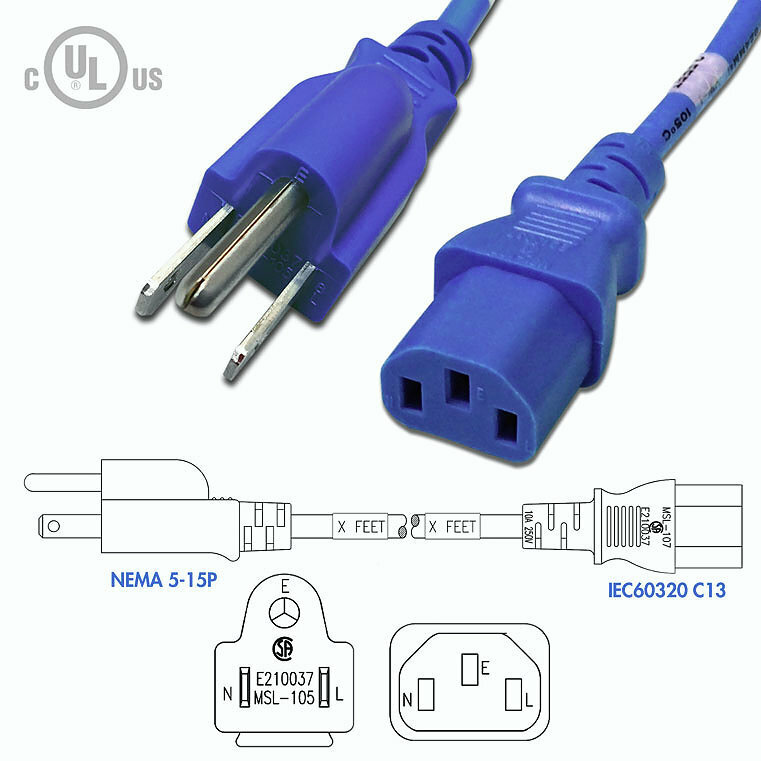 The power cord is commonly used for high current computer and networking devices to a PDU’s in a data center rack or cabinet. 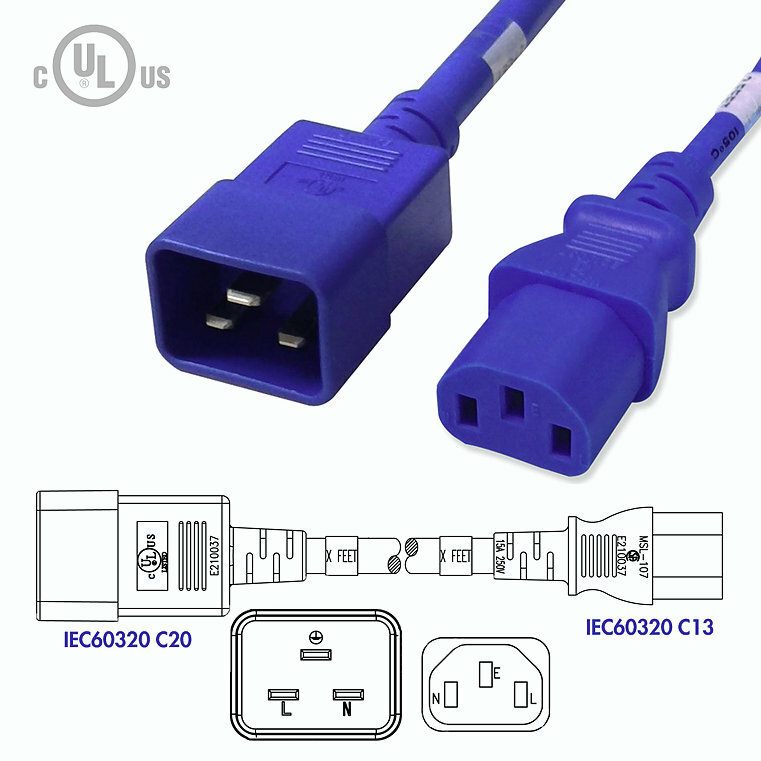 C20 (Male) to C13 (Female) UL Listed Data Center Grade 15 Amp, 250V, 14 gauge/3 wire power cord in a SJT jacket. 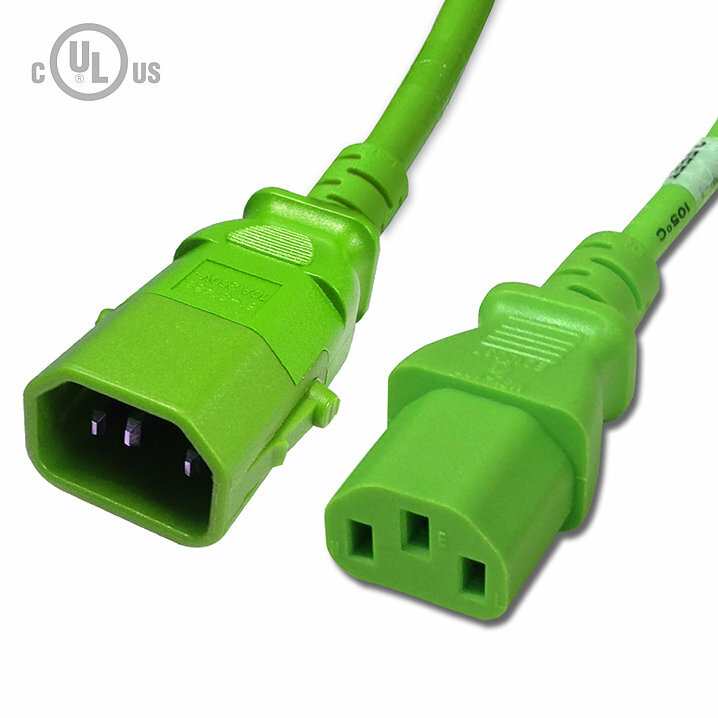 The power cord is commonly used between computer and networking devices to High End PDU’s in a data center rack or cabinet. Increase airflow, reduce power loss and reduce contact with Ethernet cords all with just the right length power cord.